ns64.domaincontrol.com, and ns63.domaincontrol.com are its DNS Nameservers. It is hosted by American Registry For Internet Numbers (Ontario, Toronto,) using Microsoft-IIS/6 web server. 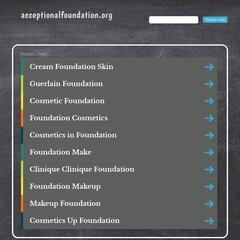 Acceptionalfoundation.org's server IP number is 69.172.236.238.